A fun tradition has popped up in recent years. 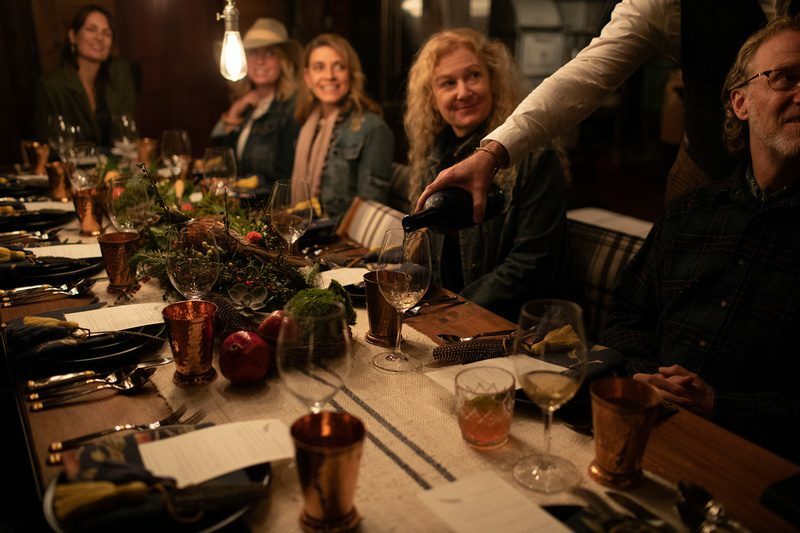 Just before or after Thanksgiving, friends are getting together for a “Friendsgiving” celebration. It’s just like Thanksgiving with all the food, drinks and festivities, but with friends rather than family. It’s a time to reflect on the year and give thanks for all your great friendships. How does one go about throwing Friendsgiving? We have some simple tips and ideas to make the celebration special. Save the buffet and grandma’s formal dining table for your traditional family Thanksgiving. 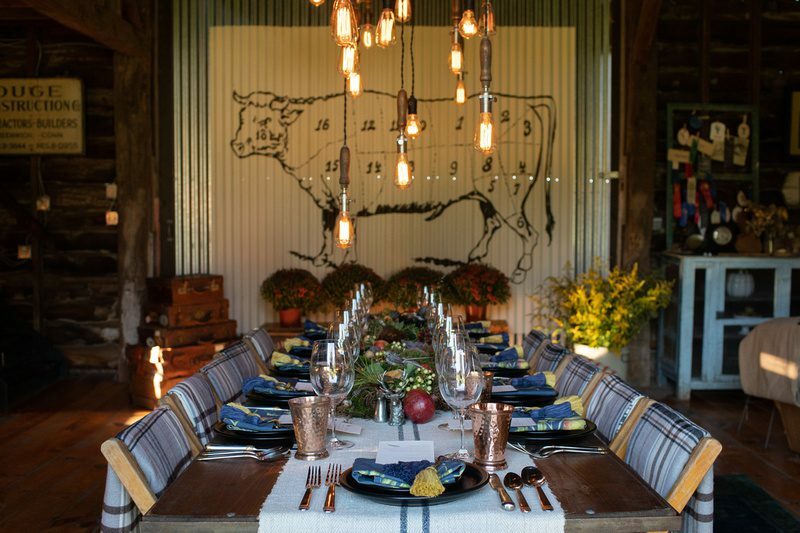 Look for an unconventional setting to make your Friendsgiving truly memorable. 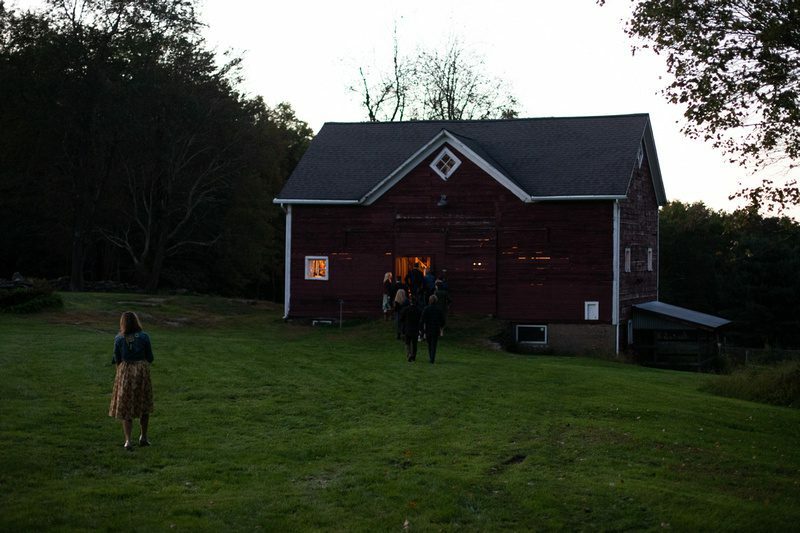 For instance, we turned this country barn into a magical wonderland. Bring your dining room table outside, add lots of candles and don’t forget to give each guest a light blanket or throw to keep warm. Get whimsical with your table setting. Friendsgiving can be a little quirky and different. We found some linens featuring birds and apples that set the tone of our tabletop. Then we gathered foliage right from the backyard to create this organic centerpiece. And we added some nests, apples and even faux birds to truly give it a fall vibe. Have fun and get creative! You can’t forget the dinnerware. Of course, we had a lot of fun with that! We selected Fiesta Dinnerware in Foundry. 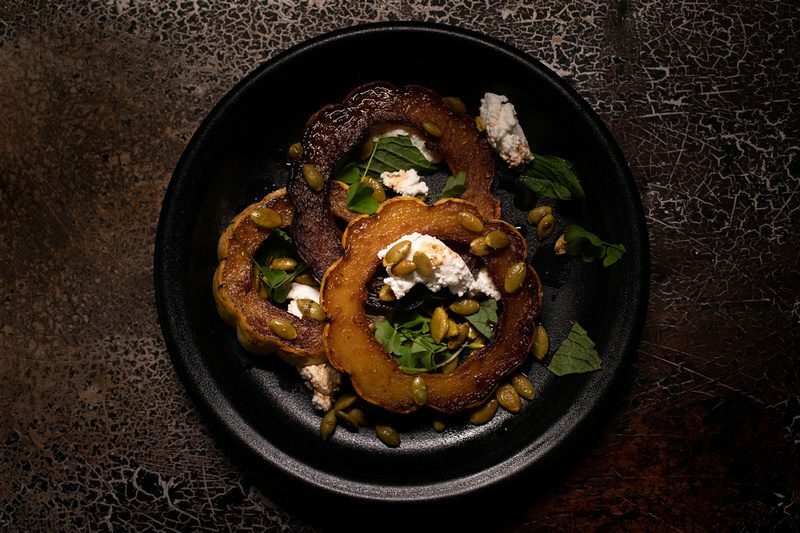 Foundry’s charcoal color and cast iron-like finish added casual elegance to our dinner. Be sure to let your friends know how they should dress for the occasion. You definitely want everyone to know what to expect so they’re comfortable in their environment. 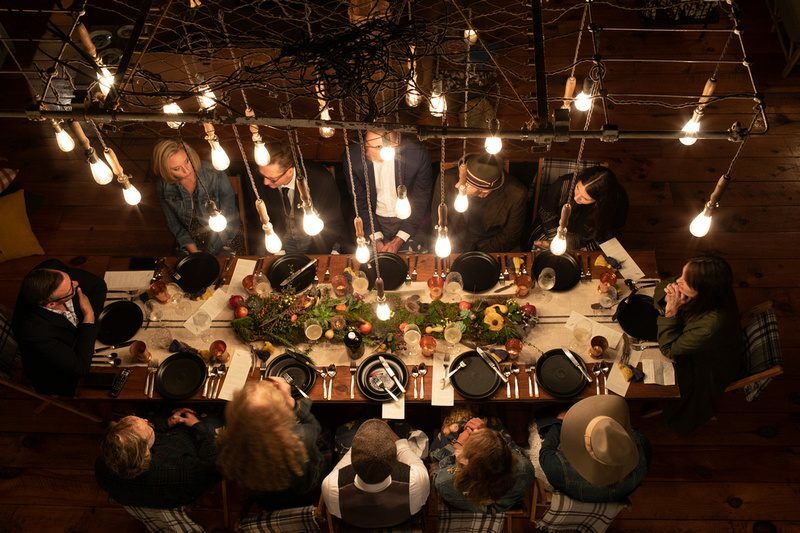 For our Friendsgiving, we asked our guests to come adorned in their best representation of “modern country.” Boots, dressy plaids, denim, and floppy hats were some of the fashion choices. If your guests don’t already know each other, be sure to formally introduce them and tell an interesting fact about each one. Have some topics and questions ready to keep the conversation flowing. Pretend you just won $5 million. What’s the first thing you would buy? Which person here do you wish you knew better? Which person at the table would make the best news anchor? If you had a uniform that you had to wear every day what would it be? Your most creative leftover-turkey idea: Go! What type of dinner are you planning? Will you have the traditional Thanksgiving feast or will you go with something more offbeat? Are you catering or treating your guests to a special homemade meal? If you’re planning a potluck, assign your friends different types of dishes to bring so you have some variation in the menu. Perhaps you provide the turkey or main dish and ask others to bring vegetables, side dishes, bread, and/or dessert. Don’t forget beverages. You can even consider creating a signature Friendsgiving drink. When it’s time for dessert, try switching up your setting. 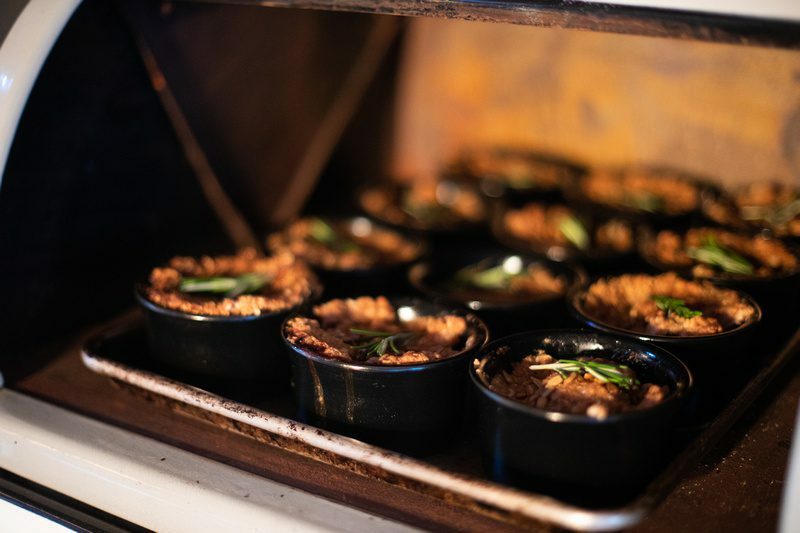 We decided to take individual apple cobblers – made in our Fiesta Foundry Ramekins – outside to enjoy by a warm fire. What’s more cozy and intimate than that? 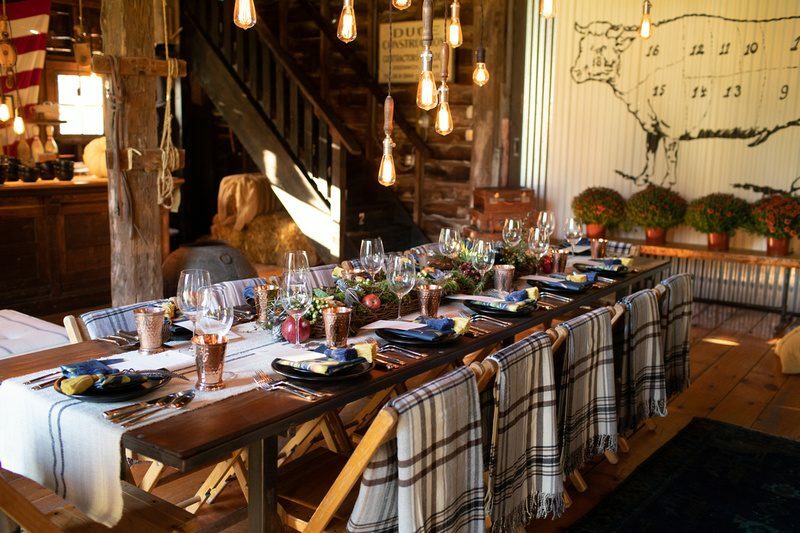 We want to hear your ideas about how to host a memorable Friendsgiving. Share with us on Facebook or Instagram.